Part of the reason for Google Chrome's popularity is its huge library of available extensions. 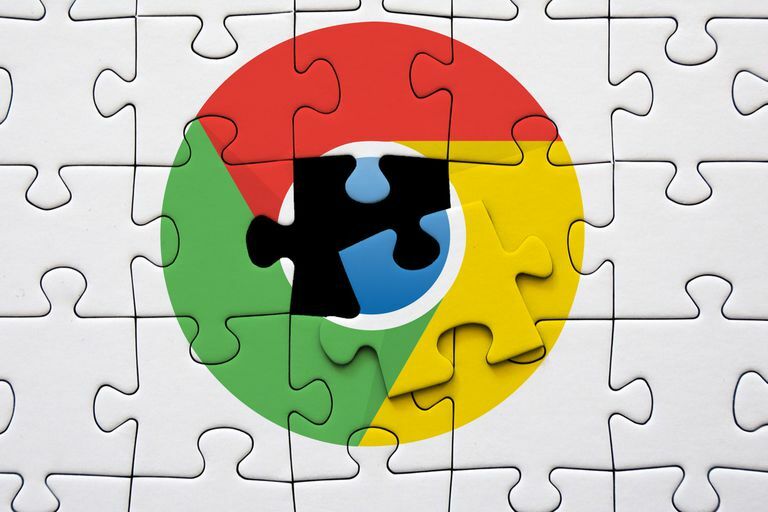 Let's look at the best extensions and plugins for Chrome that are available from the Chrome web store. Ad blocking makes up a major component of the extensions marketplace. For good reason, too: most websites are littered with intrusive ads that slow page load times to a crawl. For a while, Ad Block Plus was the king of the hill, but they started allowing "acceptable" ads through their filter, allowing uBlock Origin to emerge as the new champion. The interface is easy to use for the casual user, but power users can also dive deeper into individual scripts. No matter how you use it, uBlock Origin is the best Chrome plugin for ad blocking. Free and effective ad blocker with no gimmicks. Open-source, with tools for advanced users. Not easy to permit specific assets on specific pages. Can obscure exactly what is being blocked. This extension forces websites to communicate over HTTPS, strengthening your online privacy and security. Most websites already run over HTTPS, but not all of them. Web pages can contain elements loaded from other domains, and those domains might not use HTTPS unless you force them to. With HTTPS Everywhere, you can have peace of mind knowing your internet browsing is encrypted from start to finish. Transparently improves online security in the background. Ensures your ISP cannot eavesdrop on your web browsing. Despite the cute name, online cookies are serious business. They're the basis of online tracking utilities. By setting a cookie on one page, a company can track your browsing around the web. This works because so many websites use the same tracking software. And since that software set the original cookie, it has the power to view and edit it. As you navigate around the web, that cookie is accruing more and more personal information before eventually reporting back to its masters. That's why it's important to clean your cookies regularly. More privacy-focused users likely already have such a routine, but Click n Clean makes it trivially easy. You can also set your browser to automatically clear some or all of your user data when exiting, automating the privacy protection process completely. Dramatically expands Chrome's cookie management capabilities. Empowers users to defend their own online security. Persistent notifications if you don't clean cookies regularly. Removing individual cookies can be time-consuming. Companies love tracking your online activity. They're also frighteningly good at it. Claw back some of your private space with Privacy Badger. Though a variety of tools, Privacy Badger disables tracking tools or obfuscates the data. You can toggle blocking on and off for specific sites and trackers to make sure the plugin doesn't break your favorite website. User-friendly interface is easy for even novices to use. Clear indications of what content is being blocked. Often over-zealous in blocking content. Users cannot import custom blocking lists. Since cookies are so important to online tracking, you'll want a way to control them. Edit This Cookie enables cookie editing through a GUI, as you might guess, but it also provides granular control for which cookies stay and which cookies go. You can even prevent domains from setting one type of cookie but allow others, and if you switch browsers or computers frequently, you can export your cookies to track your login status across all your favorite sites. Searching for and removing individual cookies is simple. Provides detailed insights into cookie activity that's normally completely hidden from view. It can be hard to determine what each cookie does without inside knowledge of the website that set the cookies. Chrome takes up a lot of RAM: it's just a fact. The more tabs you have, the more RAM Chrome uses. If your computer is huffing and puffing, you might consider closing some tabs. OneTab closes all your tabs immediately, condensing them into a page of links. These links then appear each time you open a new tab, giving you the option to reopen the whole window or just a few tabs. Rather than keeping tabs open for days because you'll get to it in a second, save them in OneTab for when you'll actually get it done. Creates a quick tab-based "to do list." Saves you from keeping tabs open in the background for ages. Provides ultra-lightweight session saving and restore. No facility for syncing tabs between browsers or devices. Sharing tab collections can be awkward. Amazon prices change constantly. You can't trust the product page to tell you what the "real" price of the item is, but you can see a graph of previous prices right on the page with Camelizer. While you're on an Amazon product page, select the Camelizer icon. You'll get a pop-up box with Amazon price data drawn from the enormous and reliable database at CamelCamelCamel.com. Reveals whether a product is truly on sale, or if the "retail price" suddenly increased. Provides purchasing insights that actually save money. Doesn't work with other retailer's websites. When Google took away the View Image button on Google Image search results, there was a small shout of resistance from some web users. How would we find the high-resolution version of the image when its buried in a Pinterest page? This very simple extension returns the View Image button to Google Image search results, and it works exactly like it always did before Google removed it. Replaces what should be a mandatory function in Google Image search. That this extension is even necessary. Among the many apps that spruce up YouTube, this is our favorite. Enhancer for YouTube includes the greatest number of options, not only for theming but also for functionality. There are over a dozen selectable dark mode themes, ads are blocked automatically, and videos can be maximized within a browser window, filling the whole screen without going into full-screen mode. Once you get used to the perks, vanilla YouTube will feel archaic. Adds new functionality to YouTube. Many dark mode themes to suit your tastes. Can sometimes interfere with Picture-in-Picture on Chrome. You gotta stay on top of those emails,​ but there certainly are a lot of them. Checker Plus places an icon in your toolbar that automatically updates when new Gmail messages arrive. Select the icon and you'll get a short preview of the message. Select the message, and it opens within the extension. In fact, you can do almost all email reading from within Checker. Only when you go to compose an email does the primary Gmail browser interface open. Provides instantaneous updates when new mail arrives. Eliminates the need for a persistent Gmail tab. No visual customization options available. Icon badges can only be dismissed by open unread emails. Theming web pages with CSS isn't exactly common anymore, but it should be. Using Stylus, you can change how websites display by sticking your own styling code on top of them. For most folks, this allows hiding annoying things, changing colors, or replacing text. It's also an awesome tool for 2018's biggest interface trend: dark mode. Once you have Stylus installed, check out userstyles.org to see the biggest collection of userstyles online. Provides the greatest control over your web browsing experience. Incredibly deep customization options for those willing to explore. Requires knowledge of CSS to create custom themes. Themes break regularly as websites and browsers are updated. Chrome doesn't have a built-in reader mode, but it should. Firefox and Safari both manage to have one, but Chrome hasn't shown any interest. Fortunately, we can bolt one on with Mercury Reader, the successor to the now-defunct Readability extension. There aren't that many reading mode extensions on the Chrome store, but Mercury is the best of the bunch. Cuts out ads, auto-playing videos, and all the other annoyances of the modern web. Sometimes truncates text or removes relevant images. If you're running Chrome on an under-provisioned computer, you might have a hard time with a high number of tabs. You can grab back some of Chrome's memory by suspending tabs. This keeps the tab alive in the interface but temporarily unloads it. When you visit the tab again, you can "unsuspend" the tab, reloading the page for you. Saves battery and memory space. Speeds up browsing by automatically shelving unimportant tabs for later. Trying to save a session that includes suspended tabs often doesn't save the suspended tabs. If you do work in your web browser, you almost certainly toggle between tabs frequently. Any web app virtually requires it, and when you're writing in Wordpress and researching at the same time, you toggle on a continual basis. The only trouble is Chrome doesn't come with an Alt+Tab style tab switcher, meaning you have to grab the mouse cursor and select the old tab. With Recent Tabs, you set a keyboard shortcut that flips between your current tab and the last tab you had open. It's a lifesaver. Keyboard-based task switching is the single best improvement you can make for your digital productivity. Only allows certain keyboard shortcuts. You don't really need this, but it's a cool trick. If you feel like your mouse is holding you back, Vimium can replace all browser navigation with keyboard shortcuts. That's right, you can select links, scroll, and everything else with just your keyboard. It takes a little while to get the keyboard shortcuts under your fingers, and for all but the most die-hard of keyboard warriors, Vimium is probably overkill. But if your mouse drives you crazy? Welcome to heaven. Practiced users can move through pages at lightning speeds. The learning curve is more like a learning overhang. If you write long-form text on the web, you probably use a CMS. And in that CMS, you probably don't have find-and-replace functionality. Find & Replace returns that power to you, allowing for Microsoft Word-style find and replace functionality within the browser. The only functional Find & Replace utility available in Chrome. Removes the need to compose text outside Chrome. Can be a little buggy, requiring a tab reload after multiple searches. Fill your new tab page with a beautiful satellite image drawn from Google Earth. This new tab page extension is the best because it doesn't slow down your browser with unnecessary things like a calendar, clock, or to-do list, but still provides a better visual experience than a plain white page. The images are hand-selected, so you'll never see any garbage. The Earth is a beautiful place; see more of it with Earth View. Attractive start page loads quickly. No additional new tab page features like tab speed dial, clock, or calendar.